Lyon in February. We could actually see the Alps from here! So we’re currently lying on the couch holding our bellies after we have been testing their limits all weekend in France’s gastronomic capital. Lyon is a city full of surprises and delicious specialties. I wasn’t expecting the buildings to be so colourful. As it’s so close to the French Alps, I was imagining buildings with more neutral tones. We walked constantly visiting markets, restaurants, museums and trying to find the elusive traboules (secret passageways used by the silk weavers). We didn’t use the Metro once and tried our best to work off those extra few glasses of Cotes du Rhône as we climbed the many stairs leading to the higher neighbourhoods of the city. We actually decided to visit Lyon because we’ve been thinking it might be an interesting place to live in the future. 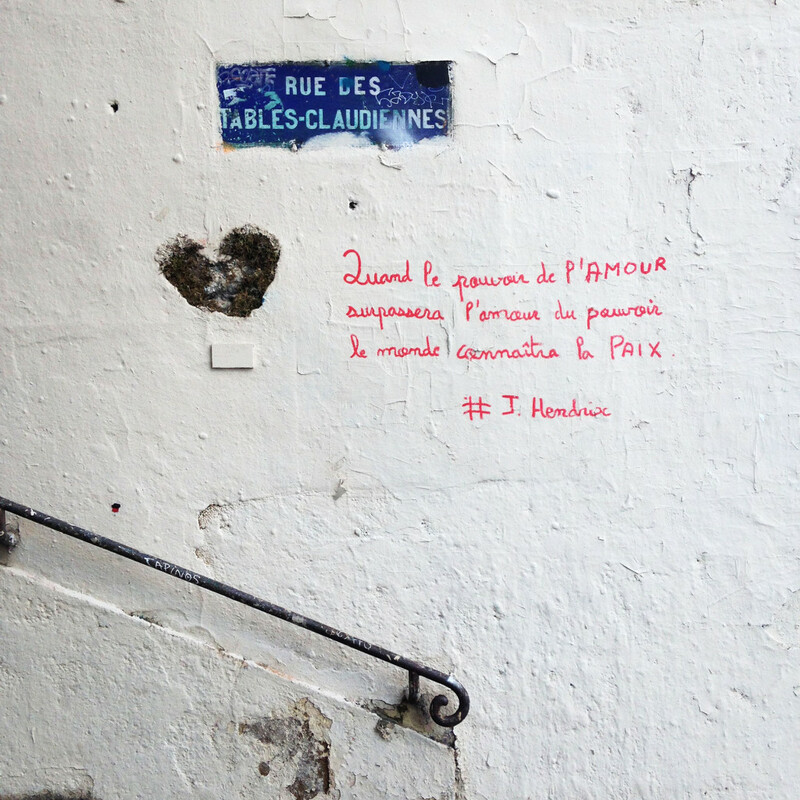 Cool cafés, lots of young people, and the food capital of France…It can’t be bad! I’m currently on the fence as where we are now (rural village in Provence) has many of it’s own qualities. Robin liked it so much that we had to stay an extra night. 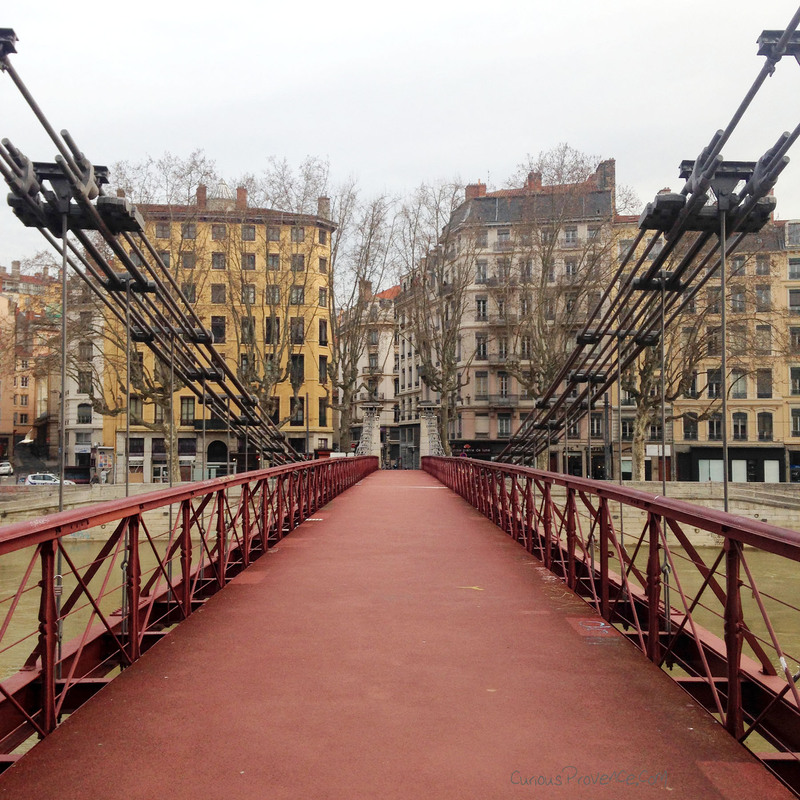 Lyon seems to have the great combination of being small, having a lot of history, a strong artist presence, young people, architecture, and then there’s just something nice about all the bridges… Lyon is located where the Rhône and Sôane rivers converge. Under this enormous mural (Mur des Canuts) are pictures from when it was first painted to now. It has been repainted 3 times to reflect the changing nature of the city. The characters in the mural have also been aged with time. 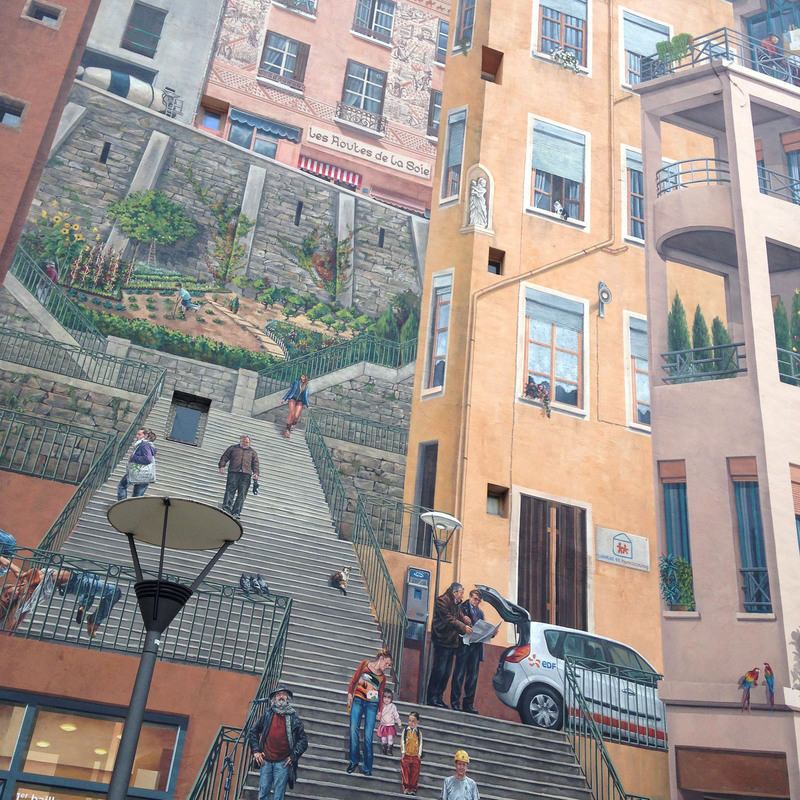 The city of Lyon is filled with murals or “fresques.” They are immense and are a source of pride for the locals. 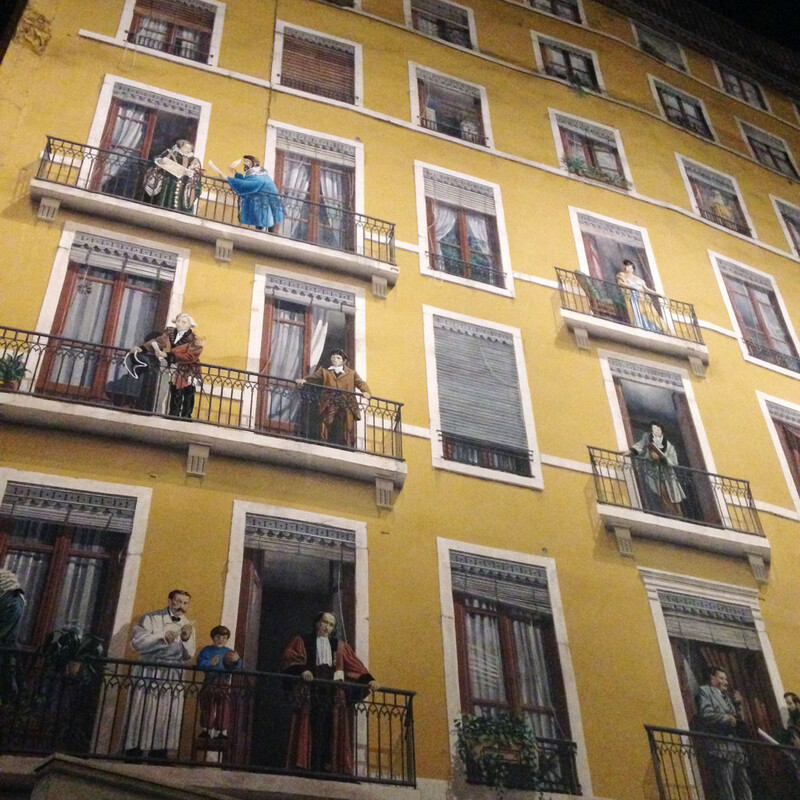 Fresque des Lyonnais (pictured here at night) features 24 historical characters from the history of Lyon as well as 6 contemporary personalities. In addition to murals, we noticed a rather large amount of street art and graffiti on the walls. One local compared the prolific street art to the city of Berlin. 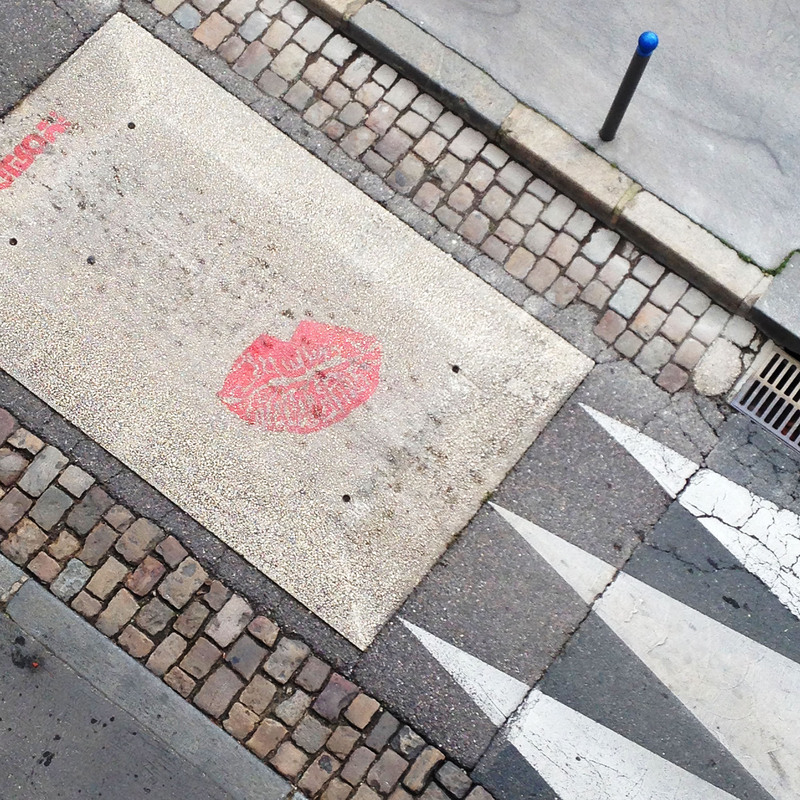 I often saw the same stencils on opposite sides of the city. Lyon is a city that has had many moments of great influence throughout the ages dues to it’s strategic position in the Eastern centre of France. It was the capital of Gaul during the Roman Empire, it had great prosperity in the Renaissance and then became an industrial town that specialized in fine silk production. Today, it is the third largest city in France with just over 500,000 residents. It is known as a university city with 4 universities and several technical colleges. I found a lot of the identity the Lyonnais people attributed to their city is from the time of the industrial silk weaver’s presence in the city. These words are the names of numerous streets, shop and restaurant names all throughout the city. Canuts: Silk weavers that worked on large machines in their homes. The weavers lived in the Croix Rousse area of Lyon in the 19th century. They were later known for their great revolts that protested their very poor work conditions. Gônes: This is a Lyonnais word meaning youth or ‘child of the street’. Traboule: These are passageways used by the silk workers, some as old as the 4th century, that allowed quick and covered access to the river. The passageways cut through buildings and are often beautiful as they allow you to discover interior courtyards and staircases. Many are now private property; but this doesn’t stop the locals from trying them out. You’re only a true Lyonnais when you know the location of the traboules. These secret passageways greatly helped the French resistance during the German occupation of the second world war. This is after all the gastronomic capital of the gastronomic capital of the world (arguably-I admit). It just happens to be located in a quality wine region as well. Check out my article about what to eat in Lyon. Musée des Beaux Arts: Surprisingly large collection of Egyptian artefacts as well as all the usual suspects. Maison des Canuts: Learn about the lives and industry of the silk weavers. See how their beautiful silk machines functioned. Musée des Confluences: Science and anthropology museum recommended by the locals. On the outskirts of the city. 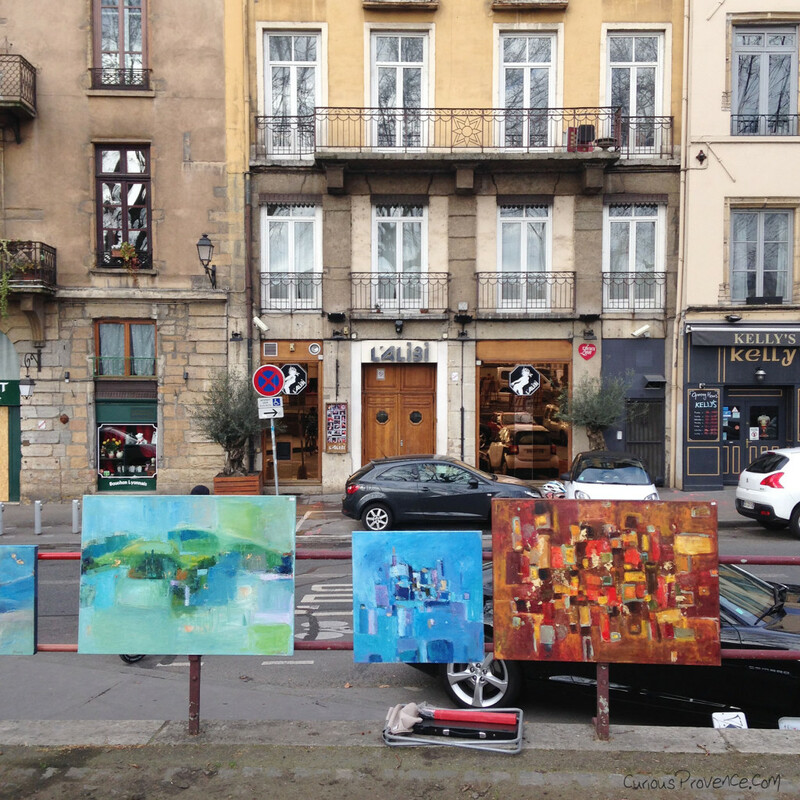 Artist Market on the Soane River on Sunday mornings. Great selection of different works. Village des Créateurs/Passage Thiaffait: Once a traboule, this passage has been turned into a space where artists of design can rent ateliers for 2 years at a time. Make sure to check out the opening times. Galerie Réverbère: I’ve heard great things about this contemporary photo gallery- sadly it was closed on the days we were there! Make sure to plan accordingly. 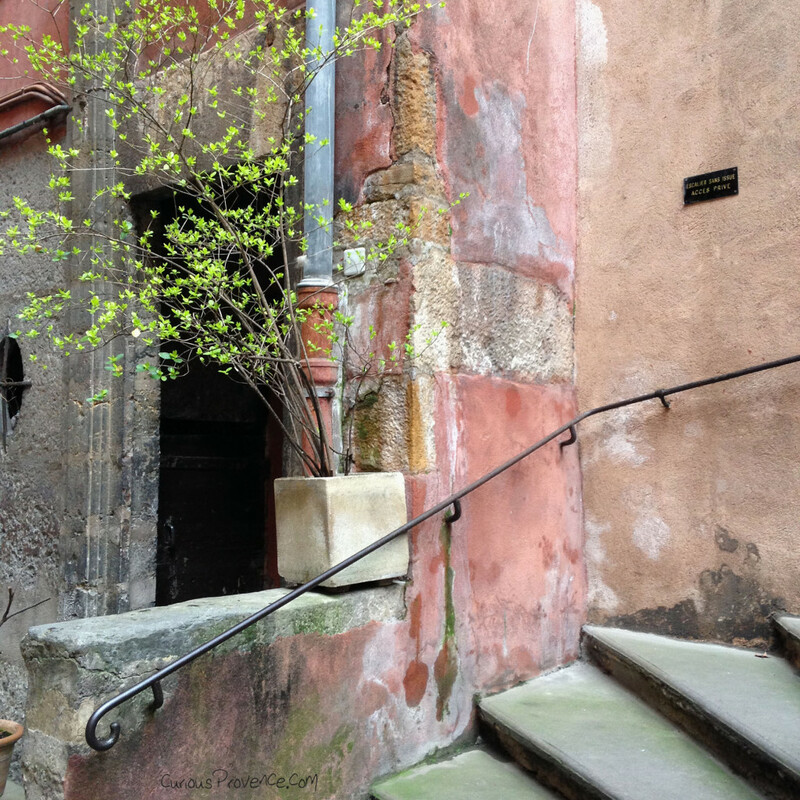 Traboules: These passageways give great character to the city. They are located in the Croix Rousse area as well as the old town. You might have trouble finding them on your own. I suggest booking a tour with the tourist office or asked a city greeter, as we did, to show you a few of them. 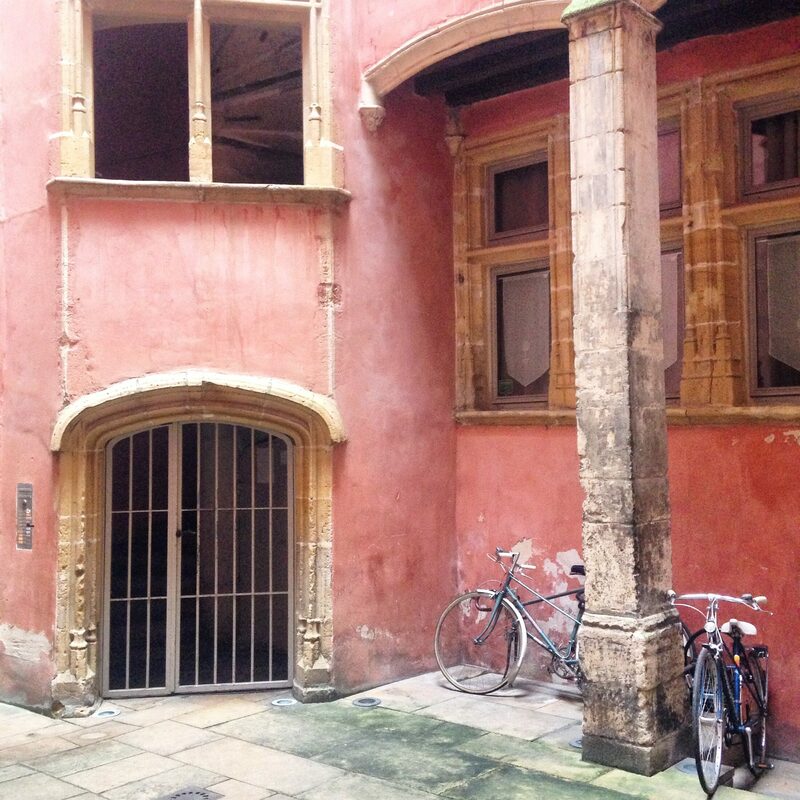 Make sure to wander the old quarter of Lyon. Winding streets open on many small and large squares full of colourful architecture. This can be quite touristy but it is a great atmosphere with many bouchons (the locals swear to never eat there), pretty boutiques, galleries and in the evening a surprising amount of young locals swarm the ‘irish’ pubs. Odd. I know. Also, take the funicular from the Vieux Lyon train station to Fourviere for a great view of the city. On a sunny day locals congregate on the steps along the Rhone river. Bring a picnic or rent a bike! On our way back to Provence we drove through the Du Pilat National Park where we visited one of the classified plus beaux villages de France (officials have taken the time to classify the most beautiful villages of France and have in fact rated all towns and villages). This village is about an hour from Lyon. 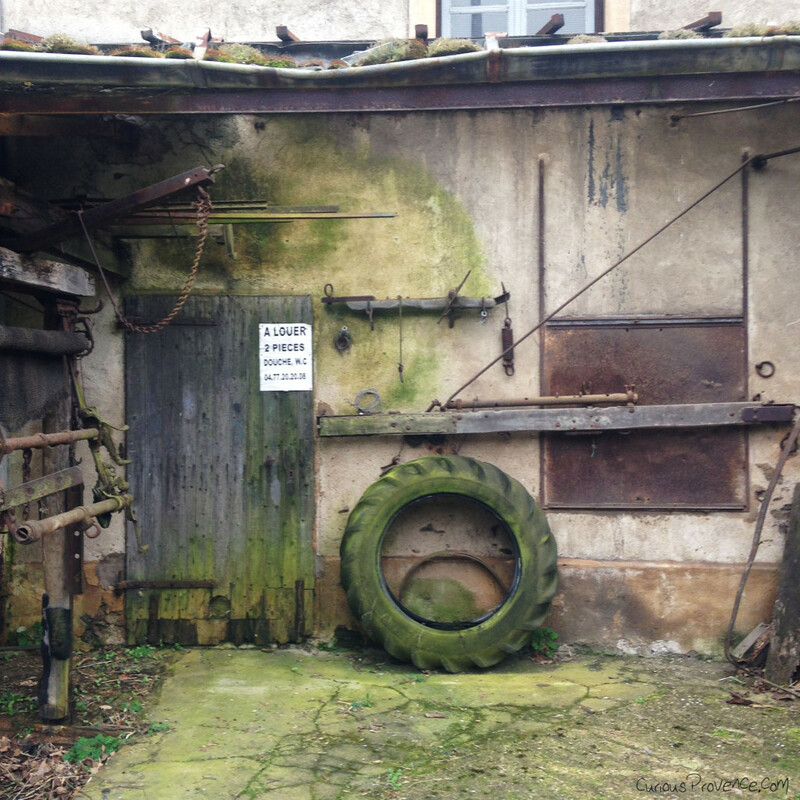 It’s a quiet, mossy place where you can stay at a farm for an evening and pick up cheese from the local producer. 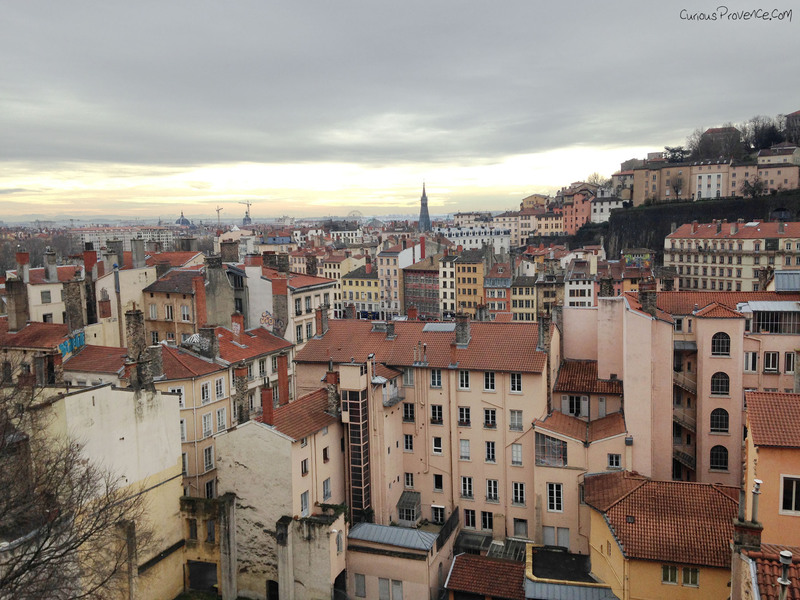 Have you ever been to Lyon? Do you have any suggestions for our next trip there? Bonjour Ashley, so glad you had such a lovely time in Lyon, I knew you would! 🙂 I have family that lives there and it is truly a city that is underrated I think, and it has so much to offer, I do agree that it would not be a bad place to live! Thank you for all the wonderful suggestions, great as always! How is the house renovation coming along…? Wonderful article. Loved the photos! So glad you had such a wonderful time! I would love to see a map on your travel pages. That would be helpful to others reading your blog…helpful to me also.😃. Love to read your posts! I absolutely love Beaune and the surrounding villages just an hour and a half from Lyon. Just a wonderful wine region. I live just an hour out of Lyon (for some of the year) and each time I go I like it more. 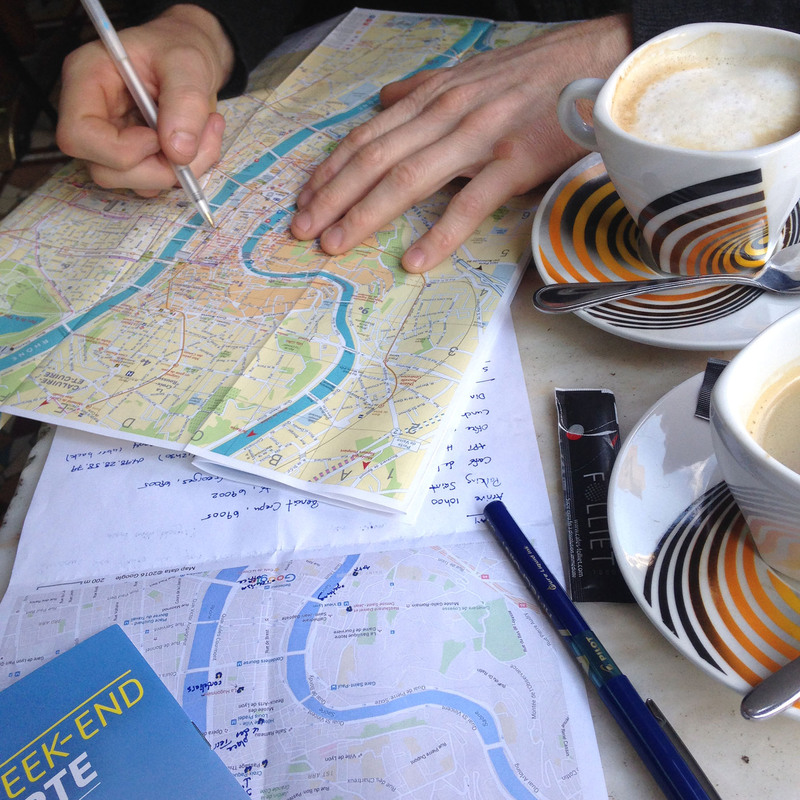 Now I have some great suggestions of places that I havn’t seen yet in Lyon. 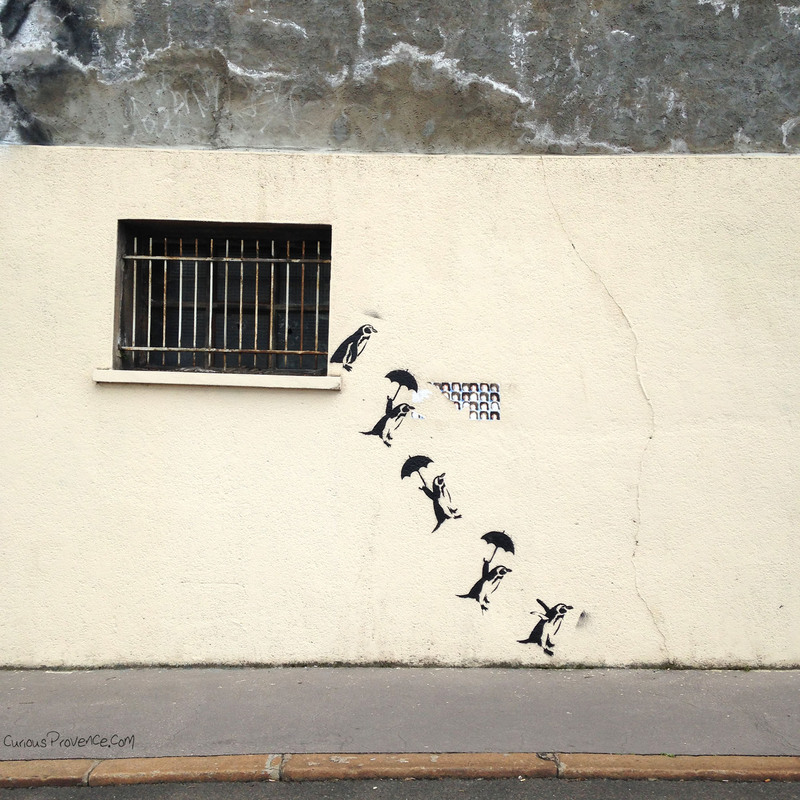 I’m a big fan of street art, so will definitely go hunting some of the murals in your photos. Thanks’s great to hear! I think there are even apps that lead you to all the murals of the city. Though, the best is just wandering around until you stumble across one..
Lyon is one of my favorite cities. If you like chocolate, then don’t miss VOISIN (here’s one on Rue Republique among other places). Amazing chocolate, and I am not even a chocolate fan! I’m going to have to write that down for next time! I know Lyon is a big chocolate capital as well. 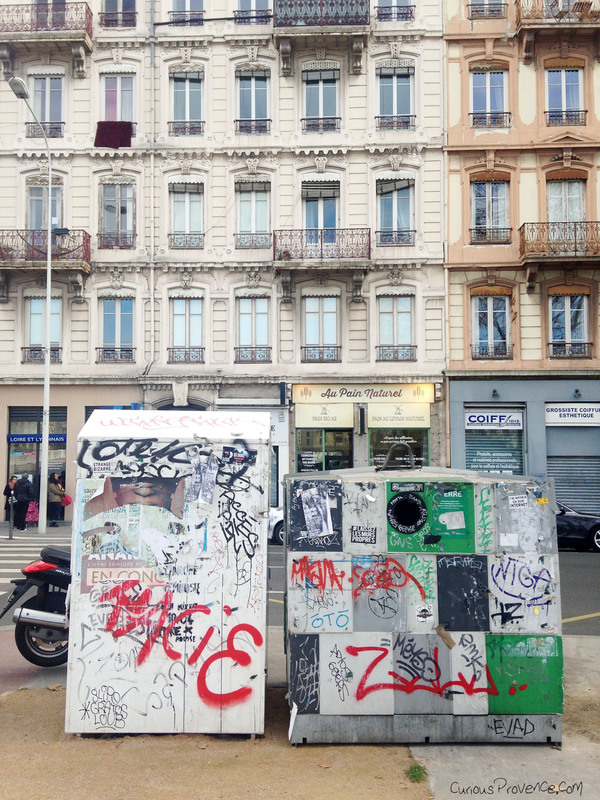 I absolutely love Lyon… such a walkable, delightful place. My husband and I don’t miss a night or two there when we are in France. I have such great memories of walking the stairs and just roaming arm-in-arm. Thank you for sharing these lovely photos! Shop at the open market on Sunday and head to the park to eat and drink your goodies. Take a blanket and people watch for a few hours. We happened to be near some people from a ballet company and were amazed as they practiced new choreography all afternoon.